Building on over 30 years of combined experience in atomic force microscopy, our proprietary microfabrication processes enable us to manufacture AFM probes with the tightest dimensional tolerances in the market at present. We are passionate about providing AFM users with the best possible customer service, from the first time you visit our website to storing your probes after a successful day on the microscope. James has 14 years of experience in AFM, of which 9 were spent designing and manufacturing unique cantilever sensors for various research projects at the University of Bristol. Seeing his microfabrication endeavours yielding new science led James to found NuNano, in order to bring novel AFM probes to the wider scientific community. Heinrich is an Emeritus Professor of Nanobiophysics at the University of Bristol. His research interests are focussed on scanning probe microscopy and high resolution optical instrumentation. Previous posts have included working with Prof. G Binnig, the co-inventor of the AFM, in Munich, and working at the European Molecular Laboratory in Heidelberg. Mervyn is Professor of Physics at the University of Bristol. His research over the last 25 years has focused on the development and application of new scanning probe microscopes, including the invention of two new types of high-speed AFM and the use of nanotools controlled by holographic optical tweezers to act as a new type of AFM probe. Mervyn has also co-founded Infinitesima Ltd, to bring high-speed AFM to the semiconductor industry. He is also Chief Scientific Adviser to the UK Institute of Physics Publishing and was elected a Fellow of the Royal Society (London) in 2011. Rick has over 30 years of experience in high-tech industries. After 5 years with Marconi, Rick spent 12 years at STMicroelectronics, holding a variety of international positions, including R&D Director (Semicustom) & Business Development Director (Microprocessors). Since 2001, Rick has worked with several start-ups. He was a founding executive of SuperH Inc., an IP licensing company and, as VP of Business Development, delivered revenue growth from zero to $7m in two years. After a spell as CTO of Cobault Ltd, a CRM software company, he joined Spiral Gateway Ltd, a semiconductor start-up designing an innovative microprocessor architecture. He is currently Entrepreneur-in-Residence at SETsquared Bristol. Joanna carried out her PhD at the University of Bristol in the Nanophysics group applying AFM to biochemistry and physiology. She previously worked in publishing at the UK Institute of Physics Publishing and more recently in R&D for the hearing implant company MED-EL in Innsbruck, Austria. Lee studied Dental Technology at Cardiff University and started out working in dental laboratories. He then moved into the sales profession by firstly joining Bayer/Siemens. Following on from this, he worked in the NHS supply chain for four years, changing the way they procure products. Rebecca has 10 years’ experience of working within financial market data management for a global corporate and 6 years sales and marketing experience for a variety of publishing, software, technology and science companies. She holds a Masters in Journalism. Helen is an experienced administrator and worked at the University of Bristol for 13 years. This included several roles in the International Office and being Centre Manager at the Bristol Centre for Functional Nanomaterials, an EPSRC-funded PhD training centre. She previously studied Music and German. Nathan completed his PhD at the University of Edinburgh in electrochemistry in 2009. He then worked as a Process Development Engineer for Texas Instruments (UK) (formerly National Semiconductor UK) strengthening his experience in MEMS processing. He is currently studying for an MBA. Piotr has been involved with AFM and various microfabrication technologies since 2012. He finished his PhD at the Bristol Centre for Functional Nanomaterials in 2017, specialising in organic electronics. Since then, he has joined NuNano as process engineer. 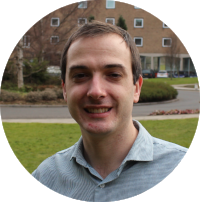 Richard received a PhD from the University of Edinburgh in 2016 while working in the electrochemistry group. In this work he studied fundamental aspects of electrodeposition and developed new baths for the electrodeposition of nickel and nickel-iron as a magnetic materials for use in MEMS devices. He has more recently completed a PGDE in Education. Hannah is completing her PhD at the University of Edinburgh through the Intelligent Sensing and Measurement CDT. Her work focused on developing miniaturised electrodes for use in harsh environments. Previously Hannah attained a Masters of Chemical Physics from the University of Edinburgh, during which she spent a year working at Merck Chemicals in the Organic Electronics team. NuNano is based in Bristol and Edinburgh, UK. We are proud members of Unit DX, Bristol's Science Innovation Centre, close to Temple Meads train station and the Scottish Microelectronics Centre at the University of Edinburgh. If you're in either area, do pop in for a coffee! Supplier of scientific research equipment, specialising in biosciences and nanosciences. Combining nanofabrication, prototyping applications and customising nanotools using FIB, with our AFM imaging service.